North Carolina is the new leader in craft brewing. Here’s why. Photo: Mike Carroll for NoDa Brewing Co. But a year or so out of high school, I got a glimpse into the next level. Like most auspicious things in my life, it came via travel, an inaugural road trip out West with my brother. You have to try and imagine the conditions — the “travelstoke,” as I like to call it — that precipitated this event: two weeks in the Rocky Mountain National Park backcountry. Huge August thunderstorms near the treeline. Meadows full of alpine wildflowers and stalking up on elk. It was impossible. The greatest name for a beer ever. I’d be romanticizing if I said the next 12 hours was some kind of revelation. But still, this little window into the nascent New Belgium Brewery had an effect on me. It wasn’t so much the hoppy beer itself but the culture these guys had obviously built around it. They were all mountain bikers and paddlers. Their whole operation was right there on the Poudre River. Fat Tire had an origin story; it was inspired by cycling, by the road. There was a certain logic in the way New Belgium connected the local terrain, water, and people. It was the “taste” of this place. Fast forward now to 2016. Craft brewing has become an all out movement across the US. But nowhere in America has this been more concentrated and meaningful than in North Carolina. Let’s start with New Belgium itself as the model. In the time since that first road trip, New Belgium (NB) has become the #3 craft brewer in the country by volume, pioneering production technology (especially energy consumption) and business practices (it’s a 100% employee-owned company). In 2012, they announced plans to build a second facility in the East, investing more than $140 million here in Asheville. Instead of choosing a large remote site outside of town, which could increase urban sprawl and/or take agricultural land out of production, they chose a “brownfield site” in the River Arts District — revitalizing an entire area of walkable, bikable, downtown riverfront. Their approach was all about sustainability. Along with NB, California-based Sierra Nevada Brewing — the current #2 craft brewery in the US — recently opened their second brewery in Mills River, about 20 minutes outside of Asheville. Finally, the Lyons, Colorado-based Oskar Blues Brewery, the largest craft brewery in the US to use cans, also opened an East Coast brewery in Brevard, North Carolina. Which all leads to the question: Why the expansion of these leading craft beer brands here? The answer lies partly in the quality of life we enjoy in this state, the easy access to pristine outdoor spaces and the hiking, mountain biking, and paddling opportunities so readily available there. But it also lies in the history of North Carolina — stretching all the way back to Prohibition days — as well as its agricultural tradition. Years before New Belgium and Oskar Blues, a German named Uli Bennewitz moved to North Carolina. He wanted to open a microbrewery similar to the ones back in his native Bavaria, but antiquated laws made it illegal for customers to buy alcohol directly from producers. Spearheading a campaign with local politicians, Bennewitz was successful in getting an addendum to the law, effectively making brewpubs legal in North Carolina. In 1986 he opened The Weeping Radish in Manteo (the Outer Banks), brewing beer according to the Bavarian Reinheitsgebot Purity Law of 1516, which states that only four ingredients — hops, malt, yeast, and water — may be used. At this time there were fewer than 100 microbreweries in the US. Two years after the original Manteo location opened, Bennewitz opened a second brewpub in Durham. And over the next three years, several more breweries were established across the state, including Dilworth Brewery in Charlotte, Greenshields Brewing Co. in Raleigh, and a trio of breweries in Greensboro: Loggerhead Brewing, Spring Garden Brewing, and Cottonwood Brewery. Throughout the ’90s, brewpubs grew steadily across North Carolina’s small cities and towns. Notably, Highland Brewing, the first craft brewery in Asheville, opened in 1994. 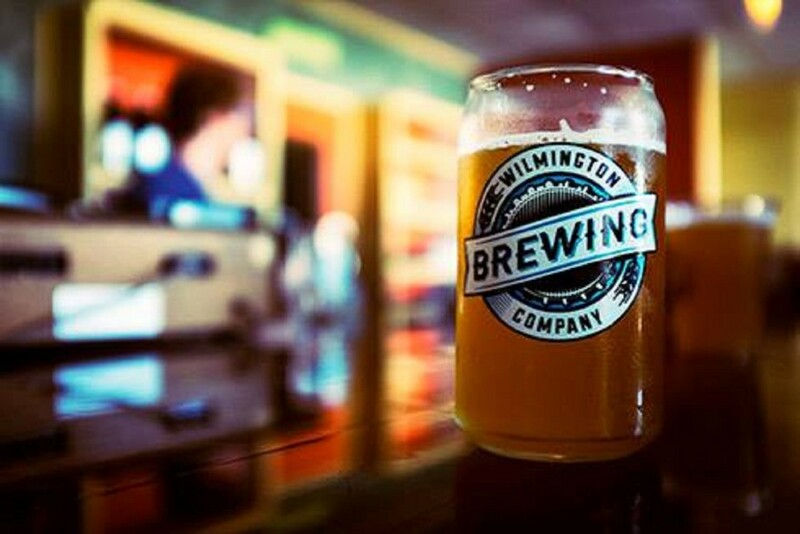 That same year, Wilmington Brewery launched out on the coast, though the current Wilmington Brewing perfected the name and launched in 2014. In the two decades since, craft brewing has exploded across the state. Our unique three-part geographic / agricultural makeup (the Mountains, Piedmont, and Coast) have led to a strong diversity in the kinds of breweries and production methods. For example, two breweries in the Piedmont, Durham’s Fullsteam and Charlotte’s Free Range Brewing, specialize in “plow to pint” beer, meaning all ingredients are locally grown. Crank Arm Brewing, in Raleigh, got its start on Kickstarter — a testament to the local support this industry enjoys in North Carolina. The proliferation of breweries is leading to widespread recognition, with various breweries winning awards from the GABF, as well as international awards. In 2015, Charlotte’s oldest brewery, Olde Mecklenburg, won the European Gold Star, beating out German competitors and taking top prize for their Mecktoberfest (Oktoberfest-style bier). Another Charlotte Brewery, NoDa, won gold for the toughest category — IPA — at the 2014 World Beer Cup. Perhaps the greatest national recognition has been Asheville’s being crowned Beer City USA in 2009, then going on to either win outright or finish in the top every year since. Even before the arrival of New Belgium and Sierra Nevada (nearby), Asheville’s beer scene has been solidly rooted with Green Man, Wedge, Catawba, and Asheville Pizza and Brewing, among many others. More recent breweries such as Burial Beer Co and Wicked Weed just keep bringing more attention to the area. North Carolina hosts multiple beer festivals and beer-related events each year, most notably NC Beer Month in April. Here in Asheville, we have Asheville Beer Week, the Beer City Festival, and now the Asheville Beer Expo, which takes place Feb. 27. Even Asheville Food Week, which focuses on our local restaurants and farm-to-table food scene, often has craft brew “pairings” with a lot of the cuisine. Beyond the migration of national craft breweries to our area, or the awards or accolades, or even the individual beers themselves, what makes North Carolina the leading craft beer state is simply the people. There’s a spirit of helping each other out that pervades the craft beer community, of teaching and sharing the culture. From local workshops to full on associate degrees in brewing at our colleges, our craft beer movement just keeps gaining momentum. Feature photo: Mike Carroll for NoDa Brewing Co.